High Point Clinical Trials Center’s Physician Investigators have been working within the Piedmont Triad free clinic environment to provide services to the medically underserved along with guidance on upcoming clinical trials that may benefit them. 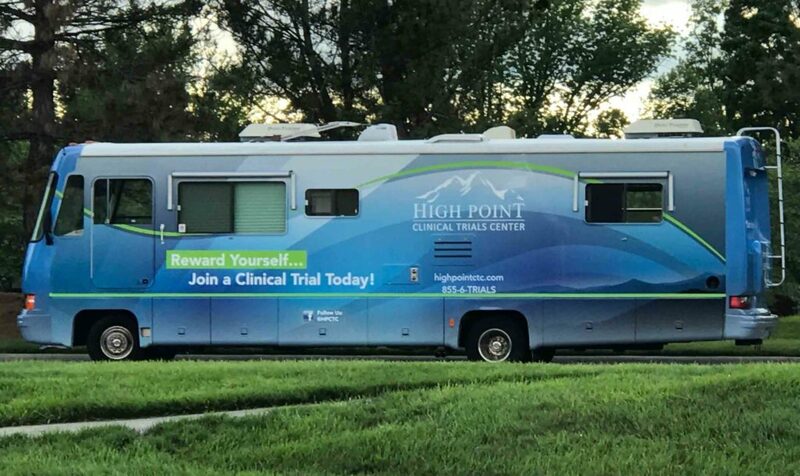 Our 33’ mobile unit will participate at community events and open the door for expanded medical volunteering outreach as well as opportunities for remote screening/recruitment and offering of free medical procedures to individuals interested in evaluating their health or participate in clinical trials. How can our mobile unit bring value to your Patient recruitment needs?